Navigate your registry to HKEY_LOCAL_MACHINE\SOFTWARE\Microsoft\Windows\CurrentVersion\Authentication\ LogonUI\Background. Now double click on the value OEMBackground and change the value from 0 to 1. 4. You can check the given screenshot for refrence. 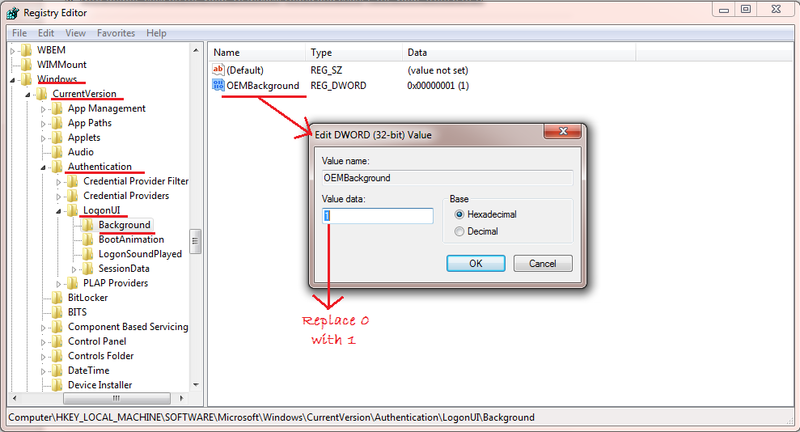 In few windows 7 operating systems, you can automatically found that the info and background folders are already created. If so, then no need to create these folders again.